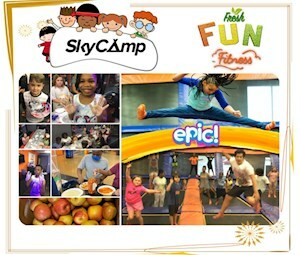 Get your kids in to their BEST shape ever with Sky Zone's "Fitness is FUN" Summer Camps! Host a Party, Jump FREE for a month! 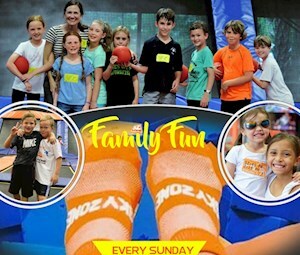 Keep your kids active with Sky Zone's "Fitness is FUN" Summer Camps. Hurry! Sessions fill up fast. Families that play together, stay together! 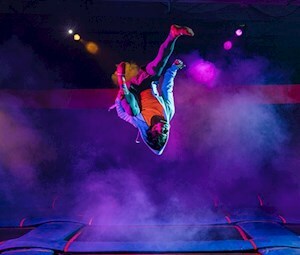 Jump & Dine together at Sky Zone every Sunday starting 3pm. 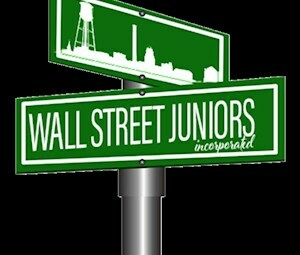 Just $12/hr/ticket for groups of 4 to 10 with FREE medium pizza every 4 tickets and FREE bottled water/ticket. Terms and Conditions Apply.